Winter Blues Affecting Your Productivity? – 10 Tips to Beat Them! Productivity Problems? Could a hidden disability be the cause? Are You Causing Friction with Your Communication Style? Good communication is a critical aspect of productivity and relationships. However, many leaders don’t stop to examine the effect they have on others. In fact, some are blind and surprised when a 360-degree evaluation indicates that others see them as irritating. For example, Phil is the top researcher of a venture capital company but he lacks patience when someone asks for further details about a possible project. He knows a lot about a lot of topics and feels free to dominate any and all conversations. Josie talks so fast when assigning tasks that others have asked her to send directions via email. Such behavior is irritating to colleagues and staff, bad for morale and motivation, wastes time, and stalls progress toward goals. Evaluations and subtle clues may indicate that people feel you are detached, overbearing, inconsiderate or a bit arrogant. 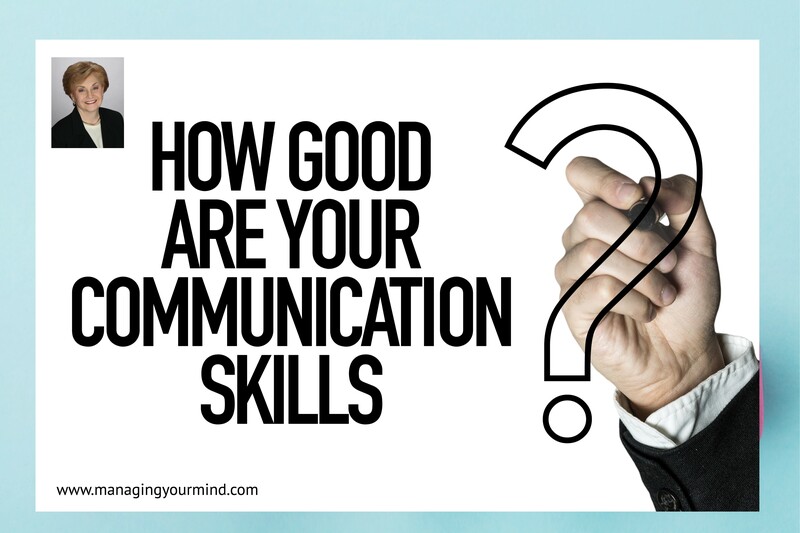 Whereas an evaluation may give you a lower rating in communication skills, there are signs or clues of problems long before an evaluation is completed. Use the following list to help you pick up on some subtle negative cues. Visualize a tense or uncomfortable situation that you recently witnessed or of which you were a part. Did you notice anyone doing any of the following? If you are able to recognize subtle negative cues, you will be able to modify what you are saying or doing so that the other person stops getting irritated and the interchange can proceed more positively. Even small attempts on you part will be notice and indicate your investment in the relationship. More positive interactions contribute to greater productivity and less stress. Talk less. Ask if a colleague has time to talk, especially when project guidelines or instructions need to be provided. Listen more and better. If someone begins to talk and you are engrossed in something else, be polite and arrange another time during which you can give your full attention. Listening requires that you exert control over your attention and remove distractions. Set the stage for important conversations. For example, move to a quiet, non-distracting place. Face the speaker and smile. Or put on a friendly face. Be sure the speaker has finished a thought before you say anything. Don’t ask unnecessary questions. At the same time, it is important to inquire about other’s feelings and progress to show your involvement and respect. You are more apt to miss social clues when you are stressed, fatigued, rushed, or distracted by other tasks. So one obvious way of being more vigilant is to ensure that you manage your stress, sleep, and time management. In addition, perhaps you need to become more self-aware. Are you thinking before you speak. Do you prepare what you want to say at meetings or are you irritated so that you just lack patience for others. Despite the obstacles, consider figuring out what you ten to say or do that irritates people so that you can stop yourself from doing what others view as inconsiderate things. When you decide to enhance your communication skills, you might consider noting a plus in you calendar when you attempted to talk less, listen more, or in some cases, ask an appropriate question. The leader’s role is to set the stage and conditions for positive and productive communication. You are the model. When you pay attention to the reactions of others, when necessary, you gain information about how things are going. You can nip small problems in the bud, enhance the atmosphere, and get more done.